“The Long Distance Dissonance”– The gang is concerned when Sheldon’s former admirer, Dr. Ramona Nowitzki (Riki Lindhome), resurfaces while Amy is away at Princeton, on the 10th season finale of The Big Bang Theory. Air Date: Thursday, May 11 (8:00-8:31 PM, ET/PT) on CBS. 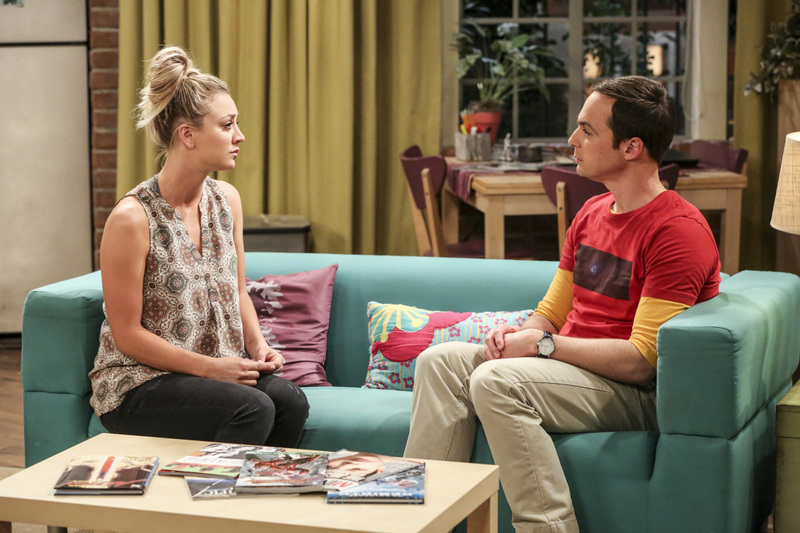 "The Long Distance Dissonance"-- Pictured: Penny (Kaley Cuoco) and Sheldon Cooper (Jim Parsons). The gang is concerned when Sheldon's former admirer, Dr. Ramona Nowitzki (Riki Lindhome), resurfaces while Amy is away at Princeton, on the 10th season finale of THE BIG BANG THEORY, Thursday, May 11 (8:00-8:31 PM, ET/PT) on the CBS Television Network. Photo: Michael Yarish/Warner Bros. Entertainment Inc. ÃÂ© 2017 WBEI. All rights reserved.